Students received thank-you cards to write to donors, as well as music, food, and t-shirts. Students thank donors for contributing to their education on Thank A Donor Day. 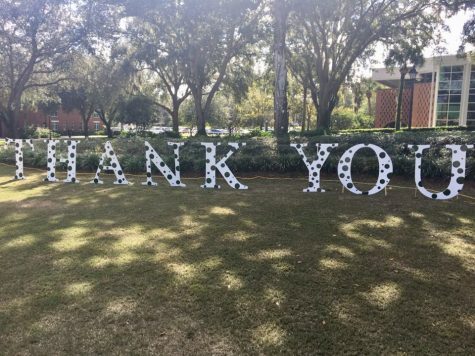 Thank A Donor Day was hosted on the Stetson Green on Wednesday, Nov. 7, 2018. On Wednesday, students were given the opportunity to win prizing, get a free t-shirt, eat some donuts, and most importantly, show their appreciation for Stetson’s many generous donors. Thank – A – Donor – Day (TADD) is a yearly event that allows students to write thank-you notes to their scholarship donors and other donors of the university. 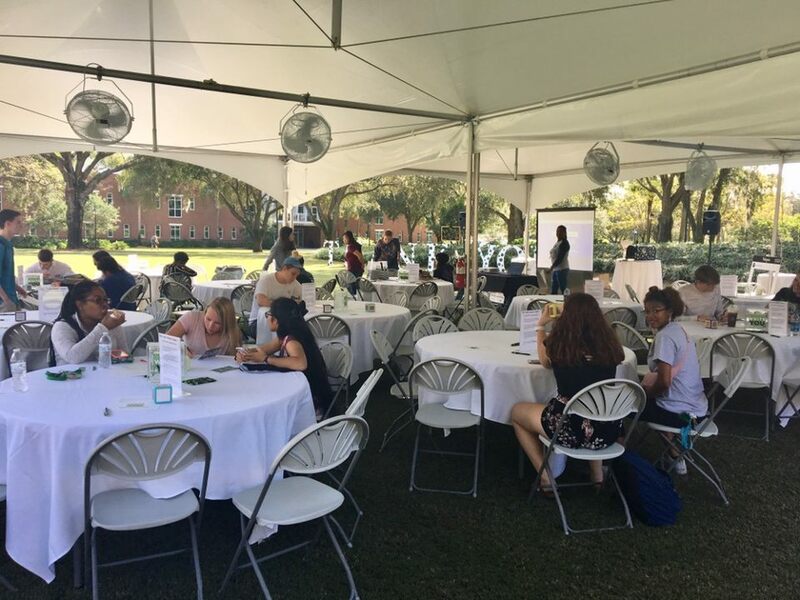 Put on by Stetson’s Donor Relations and the student philanthropy organization Green, White and YOU, the event on the Stetson Green provides students with cards, music, food, t-shirts, and the possibilities of winning other prizes. Music students were given the opportunity to participate in a special event for School of Music donors in Presser Hall. 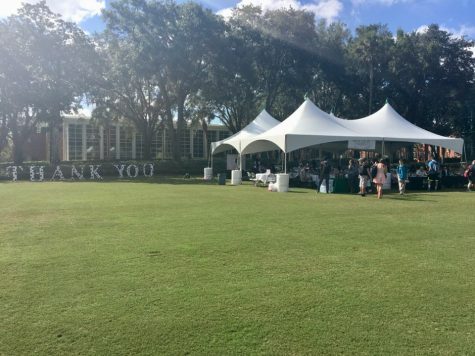 The event was to show appreciation for Stetson donors.